Don’t stress about an impending auto glass repair you may need. Many auto glass companies can be overzealous in their sales pitch and can often lead to a stressful situation. Don’t let yourself get caught up with one of those companies. We will repair any auto glass chips or cracks you may encounter on your windshield. We want to ensure that you enjoy a clear windshield. We will base your service on the level of damage and your budget. Plus, we will come to you. Our auto glass representatives can set you with an appointment that will accommodate your schedule. At Zippy Valley Auto Glass, we are proud to give our clients convenient, free mobile service. We will perform a professional auto glass replacement service that we can stand by. Our auto glass techs will make sure the service is done right the first time, therefore preventing any issues. Before we allow our technicians to work off site, we first conduct a background check on all employees to ensure only high quality employees will be working on your automobile. The techs then undergo extensive training and certification efforts before joining our mobile repair teams. You can rest assured that our company maintains insurance for our company to work on your automobile’s glass throughout the Northridge, California and surrounding areas. This helps provide our clients with an added layer of comfort in the event of an accident or other unforeseen circumstance arising while we are working on your vehicle’s auto glass. During our time in business, we have also discovered that many of our customer’s insurance policies will not only cover most of the damage that we repair, but many will also waive the deductible. Our expert staff has deep experience with working with all major car insurance carriers. We will not only answer questions about the services our mobile repair teams conduct, but will also volunteer to review your insurance policy with you to see what auto glass repair coverage that it includes. Our staff will also review the extent of the damaged car or truck glass with you on the phone and make a tentative assessment of the repairs required for your automobile. In some cases, we will find that the cracking extends beyond the length supported by glass repair methods. When this occurs, then a more expensive auto glass replacement service will be required. We like to come prepared, so just make sure to review the full extent of the glass damage to your automobile while discussing service with us on your vehicle. 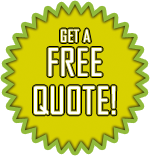 Call our friendly staff today to request a quote on your auto glass needs. We will guide you through our scheduling process from start to finish. Don’t hesitate to improve your auto glass. We are proud to offer auto glass service to the Valley area. We will come to you completely free of charge and fix or replace your car windows. You can also rest easy in the fact that our teams will leave no trash or glass debris behind when they are done working on your car or truck. We remove all old glass and give your automobile a thorough vacuum to ensure no glass shards get lost or left behind after we have completed work.